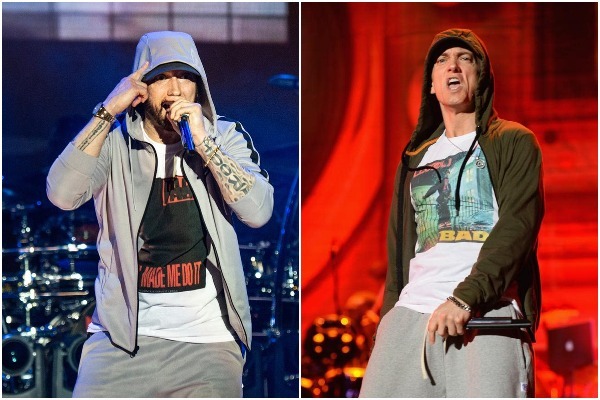 Out of blue, Eminem surprisingly dropped new album ‘Kamikaze’ and internet goes nuts with Eminem’s Kamikaze. Eminem’s album Kamikaze released on Thursday Eastern time and is currently trending on twitter and Google. Eminem, 45, announced the news of his new album Eminem on twitter which was almost like dropping a bombshell. Kamikaze features 13 tracks which attacks and dissing Donald Trump, Harvey Weinstein, as well as Tyler. The track also includes a song from a schi-fi film ‘Venom’, which stars Tom Hardy and Michelle Williams. Eminem released his 10th studio album Kamikaze on Thursday night US time, sending internet into an absolute frenzy. Eminem collaborated with his manager Paul Rosenberg and singer Jessie Reyez and rapper Royce da 5′9″ on several tracks for Kamikaze. Eminem’s last release was ‘Revival’ in 2017. That girl that didn’t unfreeze me in the 3rd grade. Let's be honest , after listening to #Eminem #KAMIKAZE . The only person capable of out rapping #Eminem is #Eminem himself. Argue with your ancestors. Follow and Like Eventznu on FaceBook and Instagram.